Lung Cancer Awareness Combo Pack is an excellent value! If sold separately it would be $17.70. You save 16%!. 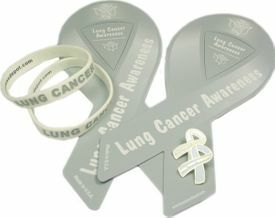 The Lung Cancer Awareness Combo Pack is a great way to show your support and share with others.